Now that basketball season is winding down, it&apos;s time to turn our attention to college football. 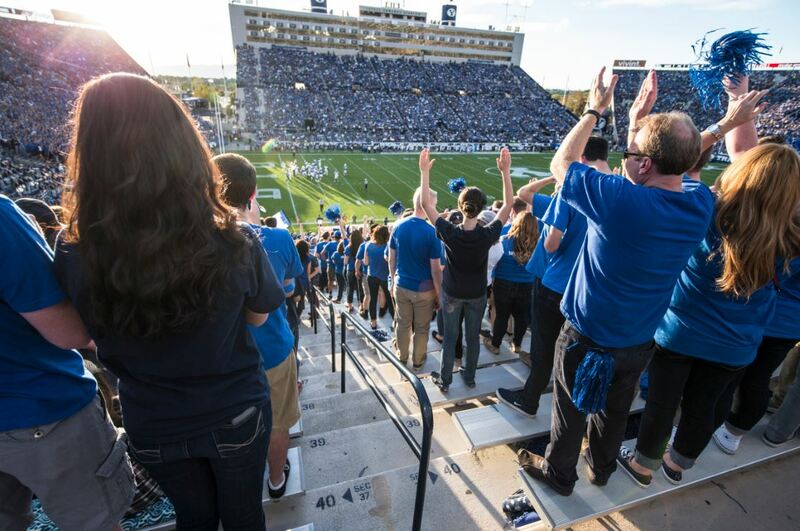 In order to get pumped up for the 2016 season, we sat down for a Q&A session with David Almodova, the Director of Marketing and Promotions for BYU Athletics, about the Spring Football game this weekend. Visit Utah Valley: What can fans expect in terms of the layout for the Spring Game this year? Will it be more practice and drills? Will there be an actual scrimmage played? David Almodova: There will be a scrimmage played this Saturday in LaVell Edwards Stadium. Gates to the stadium will open at 1pm. Visit Utah Valley: What would you recommend that fans do in order to optimize their Spring Game experience? David Almodova: I would encourage fans to come early and tailgate with their families and friends. The west side parking lot of the stadium will be open at 8 am for all who want to tailgate for the spring scrimmage. Also our nationally ranked baseball team will be playing starting at 1pm so fans could go and catch a few innings before heading over to the stadium. Visit Utah Valley: The Spring Game is on a Saturday afternoon at 2:00...what are the best places around town to grab something to eat before or after the game? David Almodova: I would say to tailgate before and then stop by one of the great restaurants in downtown Provo after the game. Oregano is a really good Italian spot located right off University Ave across from the Zion&apos;s Bank Building, and kitty corner is Communal, also just about a block south is Black Sheep, Station 22 on Center Street is really good. If you&apos;re headed out of Provo and going up State Street, Bam Bams BBQ is a must, especially if you have not been there before. Hands down the best BBQ west of Texas. Visit Utah Valley: What are some things to do around town that you would recommend to fans to make a day trip out of their trip to Provo for the Spring Game? David Almodova: Cross our fingers and hope for great weather. There are so many things to do here in Provo. A hike up to the Y is a great family activity, a walk through campus if you haven&apos;t been in the last couple of years. Come a few hours early, set up your grills, throw the football around and simulate a real game day atmosphere with your family and friends so you will be ready for the fall. Visit Utah Valley: What&apos;s your favorite BYU Football tradition? David Almodova: There are a few but a couple stand out. 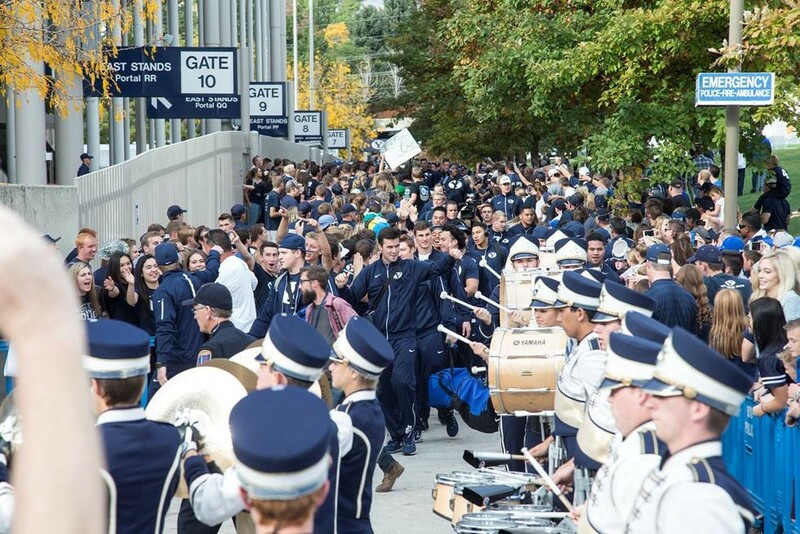 The "Cougar Walk" is a must. Nothing better than welcoming our football team to the stadium on game day 2 hours before kickoff on the east side of the stadium. Great opportunity to see our players up close and wish them luck on the game. During select games players will hand giveaway items to fans that you can only get while at the cougar walk. Also after every victory going up to the victory bell with a couple of our players and ringing the bell outside of the Marriott Center while everyone sings the fight song. 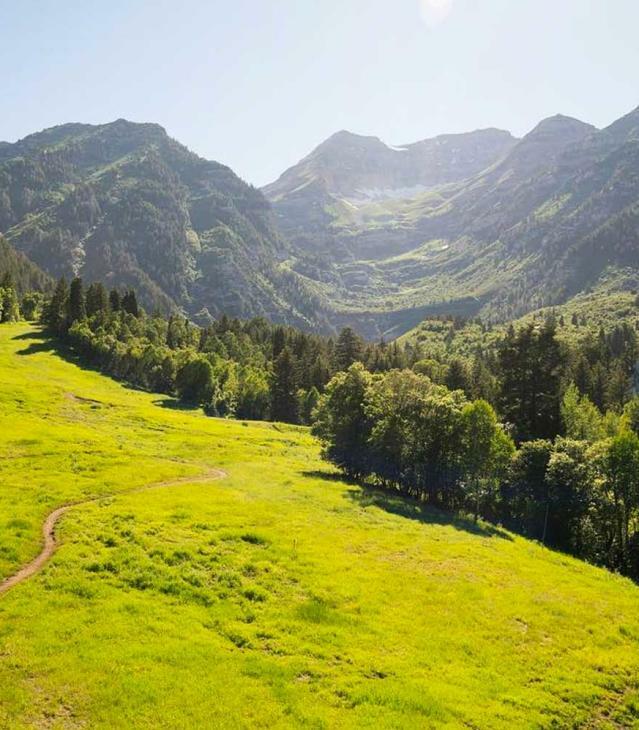 Visit Utah Valley: What&apos;s your favorite thing about Utah Valley? David Almodova: I love the 4 seasons. I love the mountain range that extends through this area. The mountains offer so much throughout the year. 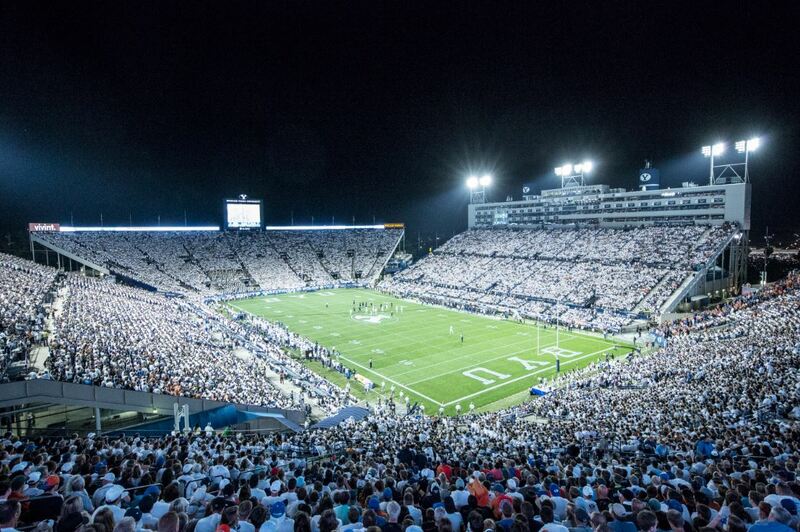 All photos courtesy of BYU Athletics and Mark Philbrick.